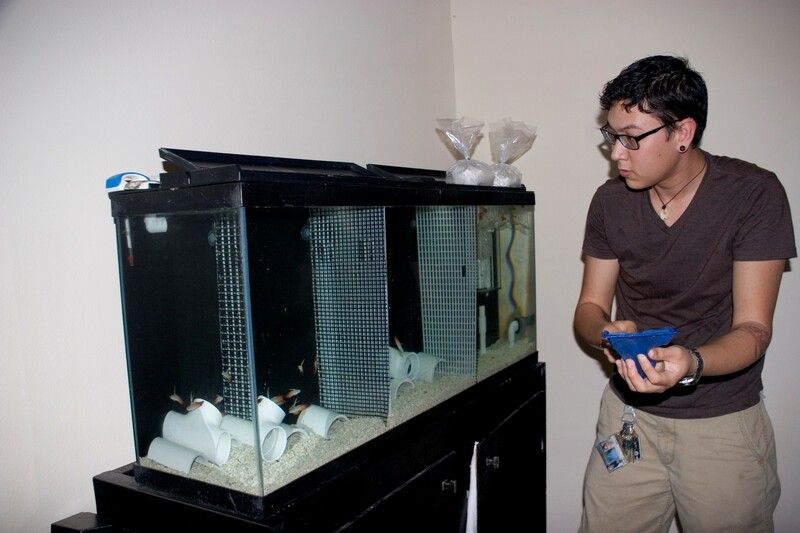 The Marine Aquarium Societies of North America (MASNA) has been giving out college scholarships to marine science majors for the last six years, and each year they get bigger and better. This year’s award consisted of two $4,000 college scholarships that were awared to one undergraduate student and one graduate student. 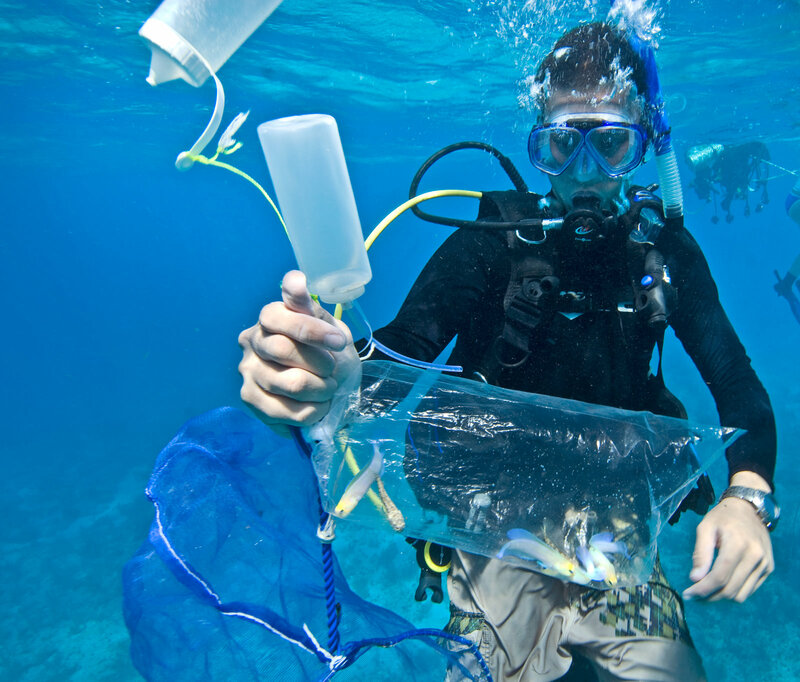 In total, the MASNA scholarship program has contributed $24,000 in total to college students who have signifciantly impacted the marine aquarium hobby. The two very deserving recipients of this year’s scholarships, Adjeleean Ho and Drew DeLorenzo, were hand selected by a special MASNA committee from a total of 190 candidates. According to the MASNA press release, which we received over the weekend, the 2013-2014 MASNA Graduate Student Scholarship winner was Adeljean Ho, while Drew DeLorenzo was awarded the 2013-2014 MASNA Undergraduate Student Scholarship. 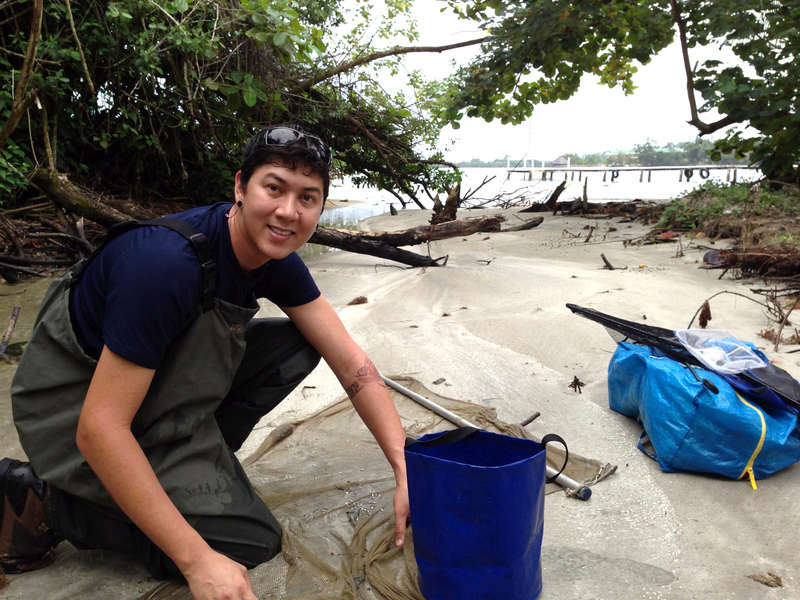 Adeljean was awarded his scholarship on the basis that he is a doctoral candidate in the field of marine biology at the Florida Institute of Technology and has focused his research on diet related coloration of anemonefish, aquaculturing marine ornamental species, captive hybridization of seahorses, and population genetics and evolution of marine species. 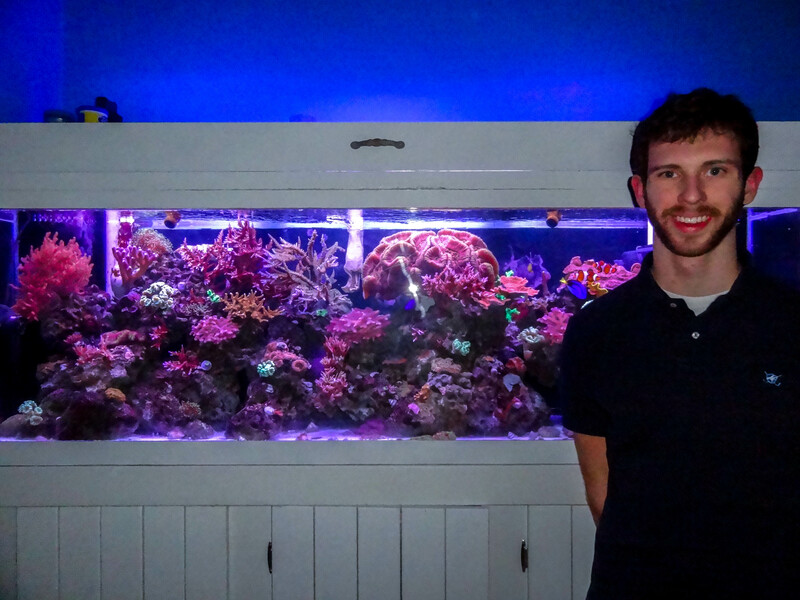 Adeljean’s future endeavors include developing a platform for the open exchange between the aquarium hobby and the scientific community, as well as recognize the contributions of the marine aquarium hobby toward the better understanding of marine species. 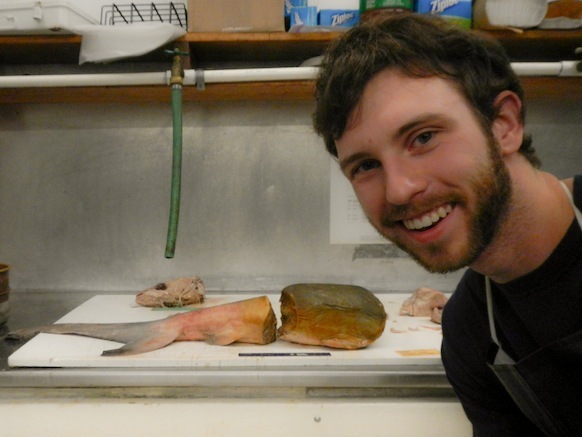 Likewise, Drew DeLorenzo was awarded his undergraduate scholarship due to his pursuit of a marine science and biochemistry degree from the University of South Carolina. Additionally, Drew is the editor-in-chief of MarSci, the marine science journal, and he maintains a 125-gallon mixed reef aquarium. 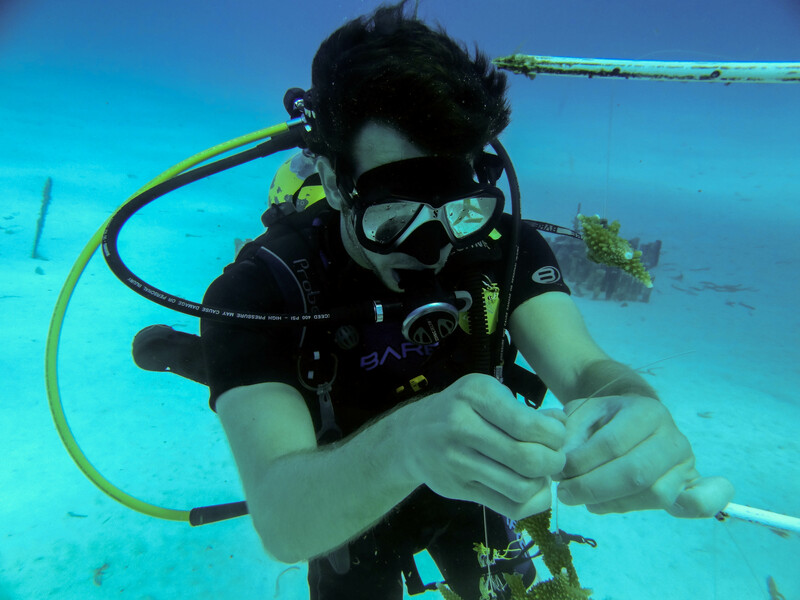 One day, Drew hopes to pursue research in coral genetics. This year’s scholarship selection committee consisted of Kevin Erickson, MASNA Vice President, Adam Blundell, MASNA Director at Large, Amanda Cox, MASNA Director of Membership, Kevin Kohen, Director of LiveAquaria.com, Patrick Clasen, Director of Finance at EcoTech Marine, Doug Hill, President and Chief Operating Officer of Seachem, Dr. Sanjay Joshi, Professor of Industrial and Manufacturing Engineering, Penn State University, Dr. Matt Wittenrich, Marine Biologist, University of Florida’s Tropical Aquaculture Laboratory, Martin Moe, Marine Biologist, and Tal Sweet, Director of the Marine Breeding Initiative. 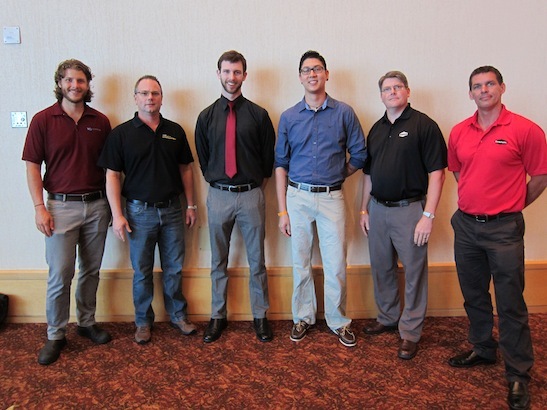 This year, with sponsorships from Doctors Foster and Smith LiveAquaria.com, EcoTech Marine, and Seachem, MASNA was able to award both a $4,000 undergraduate student scholarship and a $4,000 graduate student scholarship, and provide all expense paid trips for both winners to MACNA 2013 in Hollywood, Florida. Both recipients were in attendance at MACNA 2013 in Hollywood, Florida where they were presented with their $4,000 scholarships at the Saturday night conference banquet. 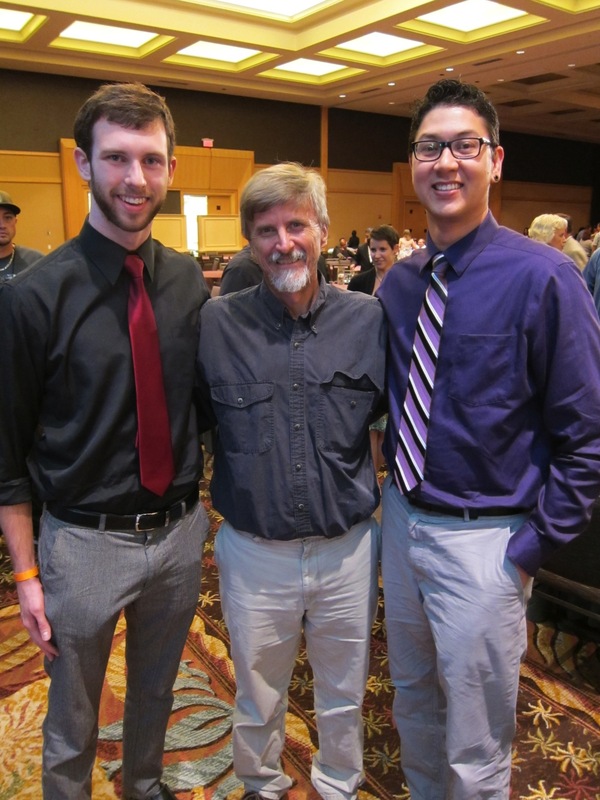 Both Drew and Adeljean were able to meet with MACNA banquet keynote speaker, Richard Pyle after the banquet and presentations where they discussed their awards and posed for a picture. MASNA, the MASNA Scholarship Committee, Doctors Foster and Smith LiveAquaria.com, EcoTech Marine, and Seachem would like to congratulate Drew and Adeljean on their awards. We are proud to name Drew and Adeljean the 2013 – 2014 MASNA Student Scholarship recipients, and wish them all the best in their future endeavors. 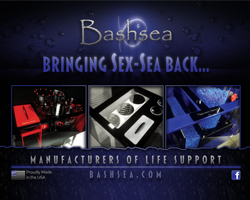 MASNA would like to thank Doctors Foster and Smith LiveAquaria.com, Ecotech Marine, and Seachem. Without them, the two $4,000 MASNA Student Scholarships would not be possible.